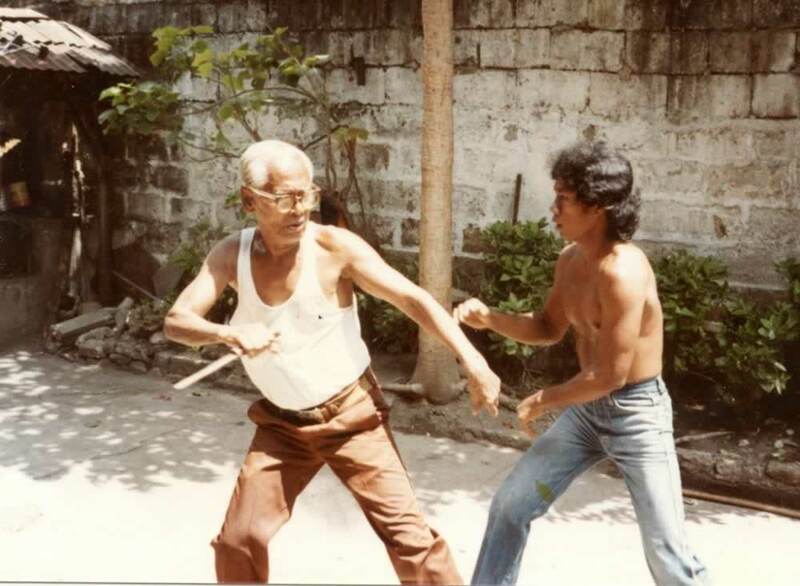 Tom Bisio writes about training in Eskrima in the 70s and 80s with Filemon “Momoy” Canete, one of the late greats of Cebuano Eskrima. Filemon Canete was one of the founders of the famed Doce Pares Club, which taught and influenced several generations of eskrimadors in the Philippines and abroad. This is Part One of a four-part article. See below for link to Spanish version. 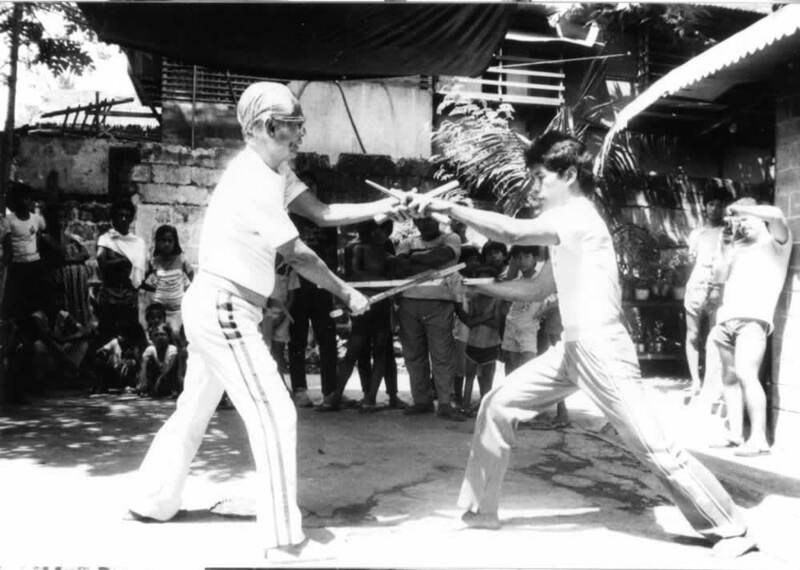 I met Filemon de la Cuesta Canete in 1979 at the First National Arnis Championships in Cebu City, Philippines. My teacher at that time, Tuhon Leo Gaje of Pekiti-Tirsia Kali arranged an introduction through Nonito Limchua, a student of Master Canete and an officer of the Doce Pares Club. We met before the matches and Master Canete agreed to teach me after the tournament. Master Canete stood in my corner and rooted for me during my matches, congratulating me after I finished each match. After the tournament I stayed with Dionesio Canete, Master Canete’s nephew. Dionesio Canete helped immensely by graciously taking me into his home and getting me to my training sessions on time. 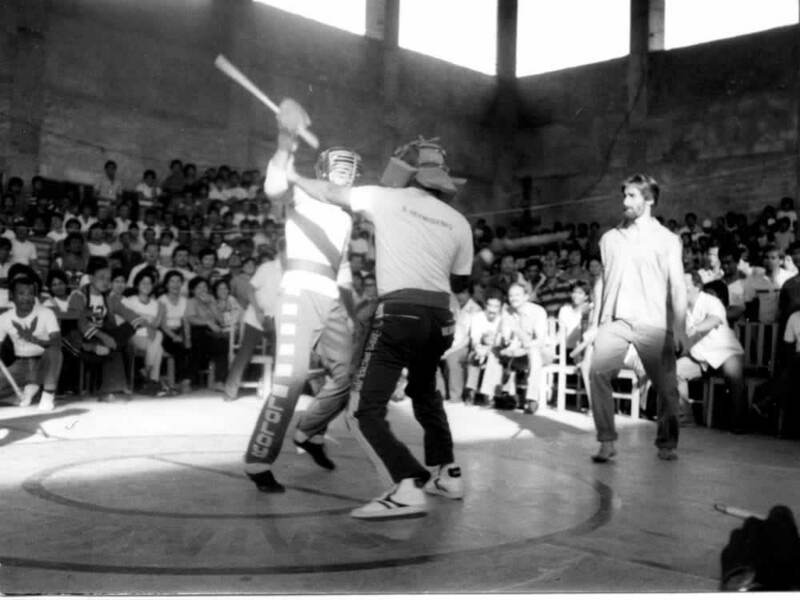 My first lesson began the next day, barefoot in the dirt, learning the basic movements of Espada y Daga. I learned the San Miguel Form and the Circle and Cross sequence of movements. I remember during practice of the San Miguel form each time I would step back and retreat to a specific spot in the training area, the ground was much warmer there than everywhere else. Finally I stepped into that spot and felt something move. We dug up 20 or so large larvae of some creature that I was unfamiliar with. Then we returned to training. This first visit to Cebu was a brief one, lasting only a few days. As I flew home I vowed I would return to study longer. Over the next 8 years I made two more trips, in which I stayed for much longer periods of time, but from that very first day, I knew I was in the presence of a true master. 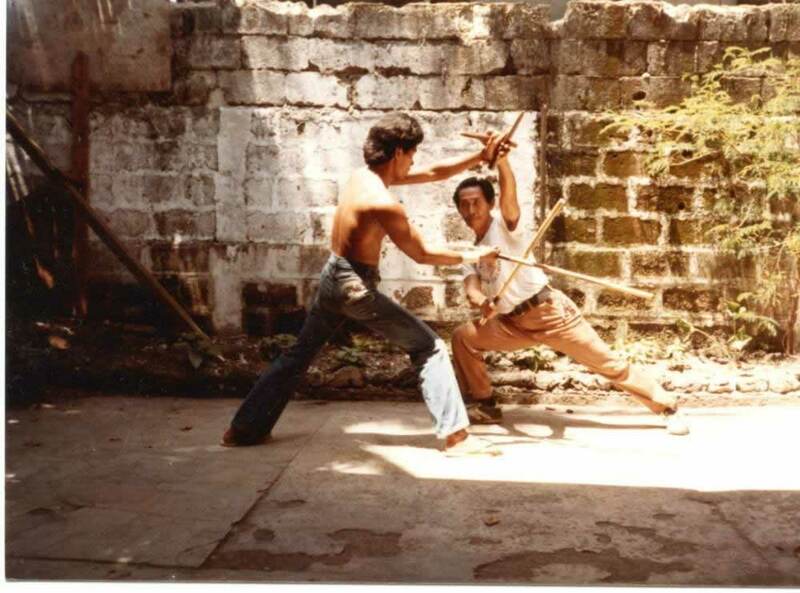 Learning from Filemon Canete was unlike any martial arts training I had done before. We met at designated times everyday. He was always punctual. The atmosphere was relaxed and informal. There were no titles, uniforms, or ranks openly displayed. We trained in shorts, barefoot or in beach sandals. 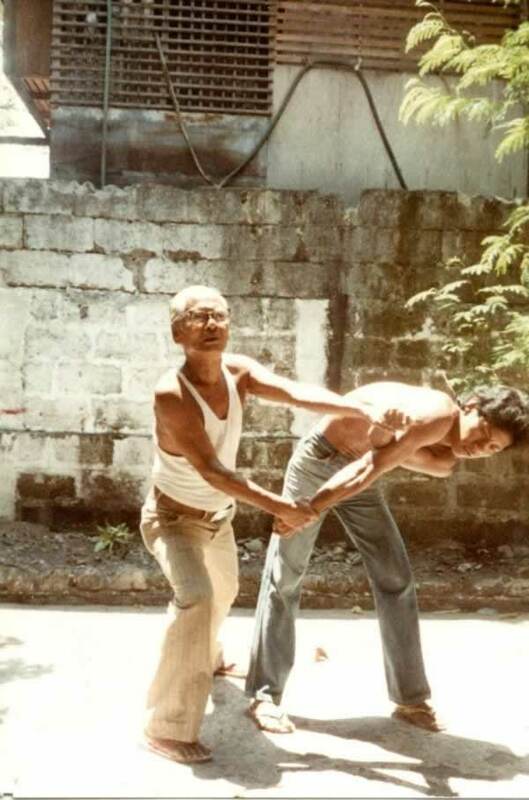 To his students, friends and neighbors, Master Canete was simply known as “Momoy”. We trained hard, but would often stop to tell jokes or converse – Momoy’s rudimentary English paired with my own almost non-existent Cebuano. Eventually one of his students would end up translating when we reached the inevitable impasse. 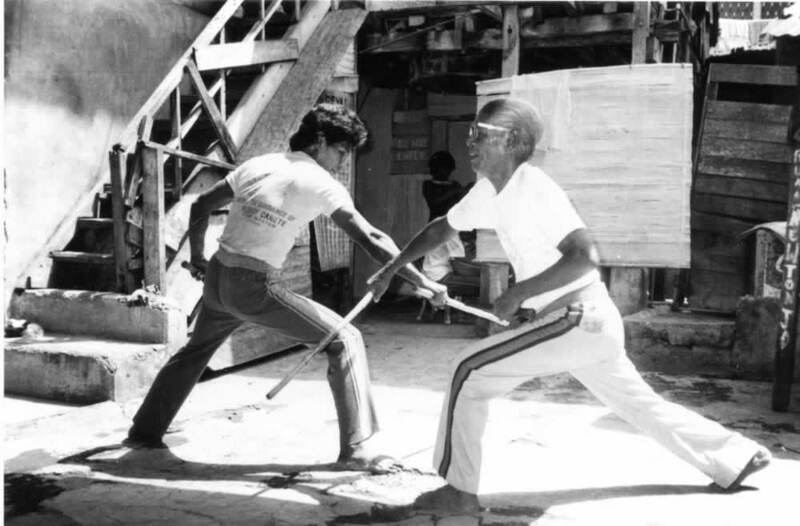 Our common language was Eskrima. In that, Momoy’s fluency and constant striving for perfection never ceased to amaze me. He was a stickler for correct technique. We would repeat the same one or two movements, over and over again, until he was satisfied with our performance. By the thirtieth time, when I was sure I had it right, he would shake his head and simply say “again”. This would continue until he saw the movements done with the proper style, poise and spirit. Although there was little or no structured formality, Momoy was a traditional teacher. His students treated him with great respect. Though they would sometimes tease him, it was with the affection and deference of a child to a beloved grandparent. 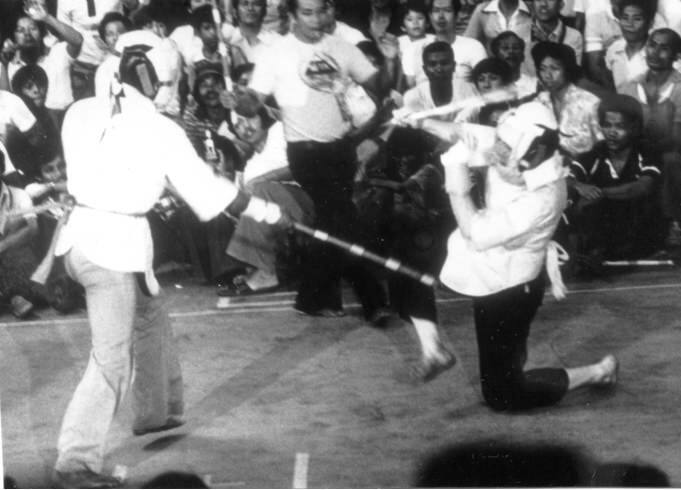 He was quick to expel those whose lack of etiquette or moral character reflected badly on him or on the art of Eskrima. Students who had a reputation for drinking, or who behaved foolishly when drunk, particularly incurred his wrath. Fortunately for me, he was far more lenient with his American students than with his Filipino students. With us he seemed infinitely patient. When they made the same mistake more than once, he would stamp his foot and shout invective at them in Cebuano. They would just laugh and shake their heads and try again. I stayed with the Bacayo family in the San Nicholas Barrio of Cebu City, next door to a community of small houses in which Momoy lived. They treated me as one of the family and gave us the use of their small walled courtyard for training. Every day various neighbors from young children to adults would pop their heads over the wall to see what we were up to. Sometimes they would crowd into the courtyard. 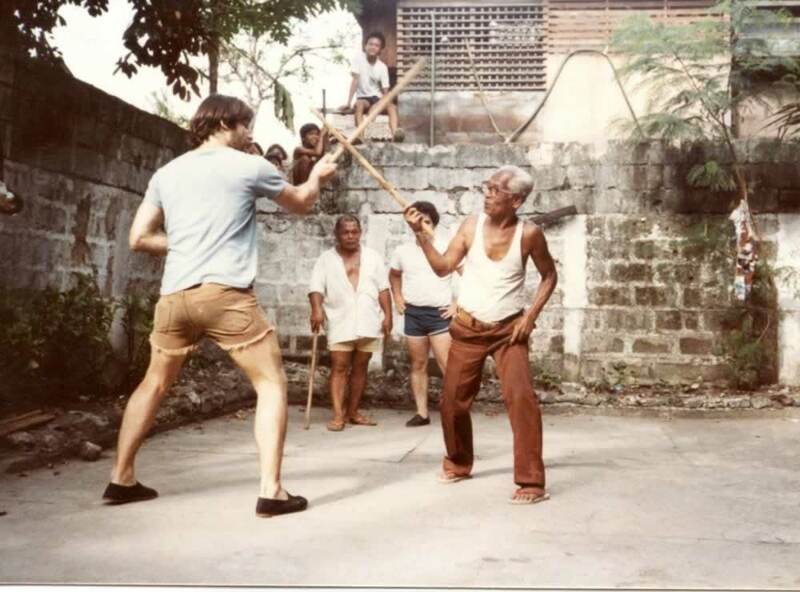 The first day I arrived to train with Momoy in 1984, I was shocked to be greeted by some 40 to 50 people. Most of them showed up the next day to watch the first day of practice. Although most of his students were men, Momoy treated men and women students exactly the same. His Filipino students were some of the most courteous and friendly group I have ever encountered in the martial arts world. They rearranged their schedules to practice with us everyday. There did not seem to be any resentment or jealousy, despite the fact that their teacher was devoting nearly all his time to teaching us. Momoy’s son, Andres Canete, and Federico “Junior” Mendoza Jr. helped in teaching us Combat Judo. Junior let us throw him and lock him. Together they taught us a fast Combat Judo routine full of locks, throws and counters. They performed it at high speed with a real dagger, taking falls and rolls on broken concrete. Freddie Abella took us to a friend’s house so that we could practice Combat Judo on the soft vermuda grass. I confess that even with this luxury I enjoyed this practice most when slightly drunk on tuba (home-brewed coconut wine). That way it didn’t hurt…. until later. Naturally we engaged in these practices when Momoy was not around. Freddie loved the bullwhip and the chain. 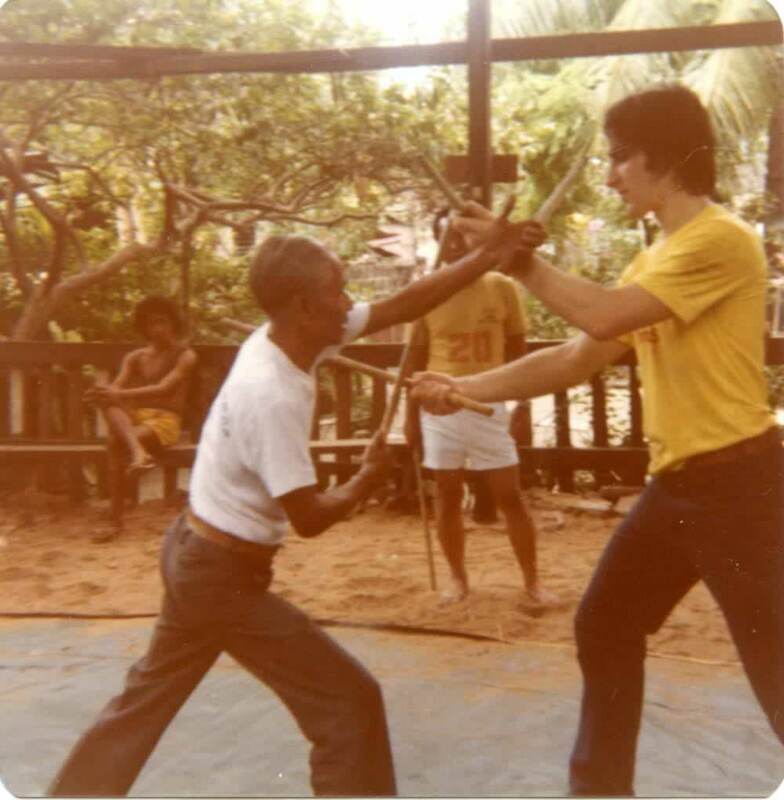 He also liked to do palusot, a kind of controlled sparring, emphasizing sensitivity and control over the opponent’s weapon. He jokingly called it, “friendly palusot with bad intentions”, because he had perfected numerous tricks to hit your hand or your foot. He never ceased to enjoy rapping my knuckles, but if I got one over on him he was equally delighted. Two other senior students, Edring Casio and Ben Culanag came by whenever they could. Both had to travel some distance and juggle their work schedules to train with us. At the time I met him, Ben had studied with Momoy for over 20 years. Ben was a real fighter, you could see it in his eyes. His reactions and stick strikes were very fast. Palusot with Ben was interesting in a different way than practicing with Freddie. Both of us were extremely polite, trying not to let it get out of control, although I think this worked more in my favor than in his. Like Momoy he was very serious and patient. He had little tolerance for show-offs or braggarts. I will never forget the glint in his eye when he stepped out make a fool out of an arrogant visitor who thought he could disarm any one’s stick. Freddie Abella and Junior Mendoza were our constant companions. They took us all over Cebu. Freddie and his wife Rita treated us to many fantastic home-cooked meals and brought us fresh mangos from their farm in the mountains. If I admired a local craft or asked where to get bahi (a hardwood used in making eskrima sticks), we were off to the mountains to procure it or Freddie would show up with a present. After a while I was afraid to ask these kinds of questions because they would drop everything to please me. 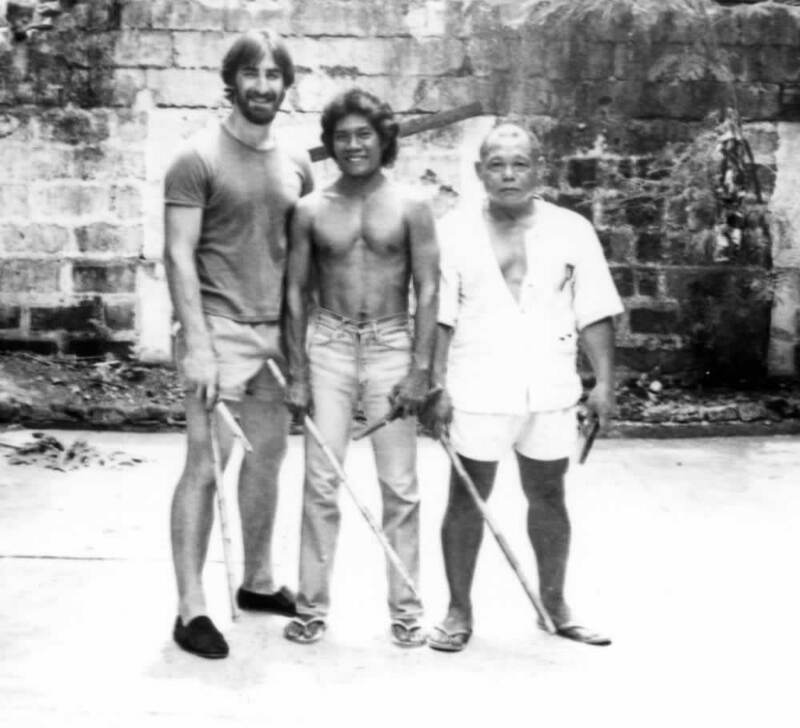 When we needed a special hemp from the other side of Cebu to make bullwhips, it was Freddie who took me. We traveled by bus over the mountains, and then continued on foot for miles through an incredible landscape of coconut trees, the ground dappled by the sunlight slanting down through the leaves. At the end of the trail we found our hemp, in a small village made entirely out of bamboo. Old women smoking rolled tobacco leaves looked at me as though I had just arrived from Mars. Freddie dryly commented that they didn’t get many foreign visitors. One day a promoter of local Eskrima tournaments came to the morning practice session. He showed me rolls of tickets for an upcoming tournament, announcing my participation in a special exhibition match. All this had been arranged by him without asking me. He had heard about my participation in the tournament in 1979 and thought that my participation in his event would sell tickets. I could tell Momoy didn’t like his manner, but when I looked at Momoy for guidance, he merely gazed at me impassively. I turned back to the promoter and told him it was up to my teacher and he would have to ask him. When I saw the smile on Momoy’s face I realized I had given the right answer and he then gleefully told the promoter he would have to reprint the tickets. 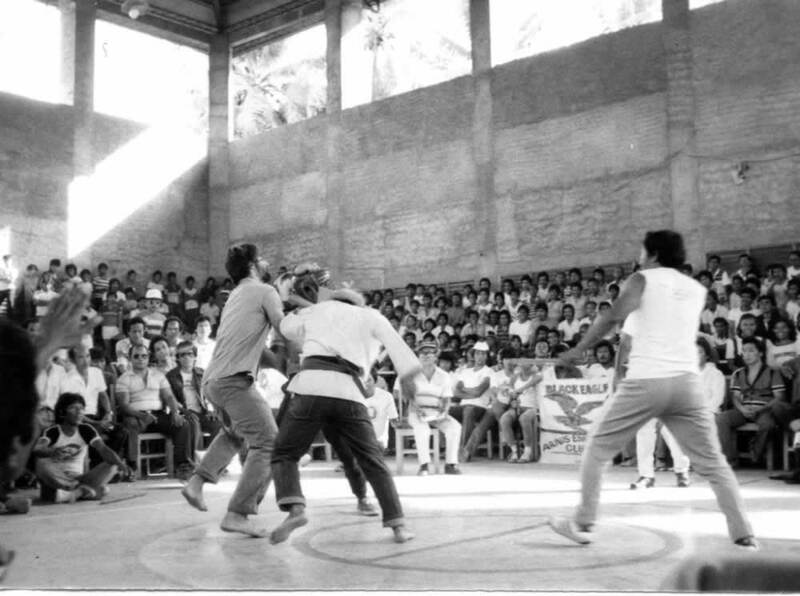 We did go to the tournament, a series of brutal team matches between students of two branches of the Doce Pares Club taught by Ciriaco Canete and two other local Eskrima clubs. The contestants only wore headgear and I soon realized I had unwittingly stepped into the middle of a series of grudge matches – the competitors were out for blood. The head referee, Nonito Limchua asked me to help him out and I soon knew why. We spent the next two hours pulling contestants off each other. I ended up squaring off with one of the competitors who had several times hit me when I stepped in to break up a clinch. Momoy, his students and the audience enjoyed this immensely. One of the reasons for our attendance was that Edring Casio was slated to fight a no-headgear challenge match with a student from another rival club. Although I had no doubts about Edring’s ability, I was glad to see this called off by the doctor. As we left, the disappointed crowd was storming the box office.